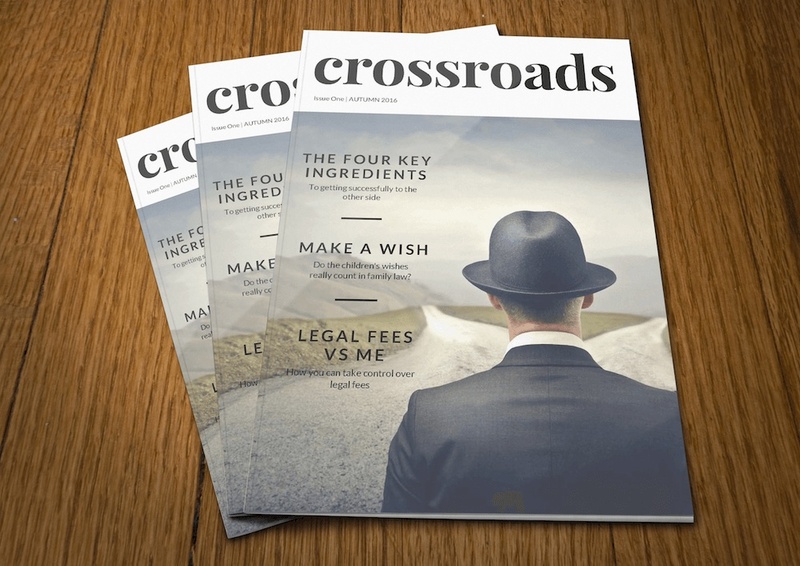 This winter marks the 8th edition of Crossroads, the quarterly, substantive magazine that is predominantly focused on family law but suitably augmented by other content that rounds the read out to a broader audience. In our long-standing work with leading family law practice, Best Wilson Buckley, a relatively recent Shine Lawyers acquisition, we pitched the idea to the firm as a unique way of repurposing the content, given their prolific nature of writing it. The idea was well-received and before we knew it, our agency had metamorphosed into the World of magazine design, publishing and printing. We didn’t realise it then, but collectively, we do now, that each quarter marks the start of the constant back and forward, editing, amending content and the ever-present conjecture of photography. It’s by no means just a matter of pulling articles together and choosing photos, the nature of this marketing touch-point is that it’s a very apparent and a strong extension of the brand in a way that is different, and thus, because of this, it has cut-through. We recently received via the firm some feedback which is on-point from a guy steeped in experience within the Australian publishing industry. I’ve got some feedback – I think it’s sensational. Rushing and tearing to meet a deadline, Sue passed me the latest copy and I said I’d “flick through it later” – I’m so glad I did. I mistook it for a high-end fashion mag to begin with. I think the stock you use for the pages is fantastic and the images are very strong and provocative. Good or bad, I’ve been in this business for many, many years now and have worked on so many publications (with some very good graphic designers) and I think what you guys do looks great visually and comes across as very professional. I think it’s a strong ambassador for your brand. Well done. This type of response isn’t uncommon! So, fundamentally the reason why we’re still at it this coming June, is because it not only works from a marketing perspective but the tactile nature, the content, the images still prove to be a very potent representation of this brand. A brand that cares deeply about its clients, about the practice of family law and about journeying with people who walk the path of separation and everything that follows.